Ready mixed, fast setting white repair plaster. Easy to work with, with powerful adhesion and durability. It has the same grain size with top coat plasters, thus making it the ideal solution for repairs of deteriorated and damaged existing plaster surfaces. 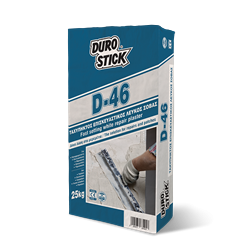 Suitable for restoring large cracks on plaster, 2-10mm thick, and for repairing damaged corners. Repairs defects created during construction from plumbing, wiring and tiling crews as well as aluminum installers. Classified GP: CS II/W0, per EN 998-1.